Before I begin to set out my thoughts on this book, I have a question for publishers of Scandinavian crime fiction translated into English. Why are English-speaking readers constantly having to start reading the works of new authors in this genre so late in the series? Dregs is the perfect example. This is book number six in the William Wisting series set in Norway, leaving five novels untranslated/unpublished in English. I enjoyed this book but find it very frustrating that the only thing we really know about Wisting, his work associates, his daughter etc. etc. is what is to be found in this novel. There are little nuggets about previous cases scattered throughout this book, all of which sound incredibly interesting, all of which we've missed because we don't speak Norwegian. Can someone please start publishing a series with book #1 so we can work our way through the series? Thanks for listening, if you are. 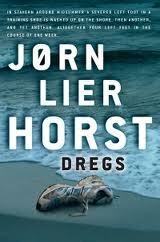 It really is a shame to have missed the first five novels in this series, because Dregs is exactly what I look for when I'm reading a novel of crime fiction. It has a good plot, enough suspects to keep the reader guessing, very little in the way of extraneous subplot, romance or main-character existentialist angst/crisis so that the reader stays focused on the crime and its solution. It is a brilliant police procedural which is all about getting to the root of the mystery at the heart of the story. Set in Norway, the novel opens with the discovery of a tennis shoe which is rolling around at the edge of the shore. Inside the shoe is a left foot, and much to the dismay of Chief Inspector William Wisting, it is not the first left foot in a shoe to have washed up recently, meaning that the feet do not belong to the same people. Certain characteristics of the shoes lead the group to consider whether or not these shoes have anything to do with four people who have recently gone missing. Three of them are elderly; the fourth, a paranoid schizophrenic, suffers from delusions of being watched and her home secretly searched by some sort of foreign intelligence organization. And things get even more complicated as more shoes come to the shore and a body or two is found. The killer has to be stopped, but this will not be an easy task: before the case can be solved, Wisting and his team are faced with having to unravel decades worth of secrets which someone really want to keep hidden. The lack of a gimmicky serial killer or high-speed thrills may turn off some readers who are used to that sort of thing in their Scandinavian crime fiction, but to me, this book borders on perfect. While those elements are fun, there's nothing like a serious, good old-fashioned police procedural for the true lover of crime and mystery fiction. In Dregs, there is a good mystery, a good plot, and good, well-timed and well-paced progress through the investigation leading to the revelation at the end. Very highly recommended, and it will work for readers not only of Scandinavian crime fiction but for readers of serious, intelligent police procedurals as well. I'm so glad you enjoyed this one! And I echo your question about the order of publication/translation. I know there are reasons that books are translated out of order, but I've never liked it! a) If the author wants his work known outside of Europe, wouldn't it just be smarter to start with book one rather than book six? I mean, isn't it just as easy to have a translator translate book one? 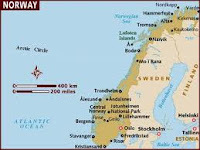 b) As much as I hate to say it, I would think English-speaking publishers would jump on the success of the whole Stieg Larsson/Jo Nesbo thing and realize that there are a LOT of Scandinavian crime fiction readers who don't read Scandinavian languages who are on the lookout for new authors. I'm sure there are reasons, but who knows? PS I've heard before from translators that publishers often try the translated market first with a title that won an award. eg I just read #8 in the Helsinki Homicide series thinking it was #1 as this was first to be translated. The book (Against the Wall) won the main Finnish crime prize in 2009 so that probably accounts for the decision. Silly one, in my view. Maxine: that explanation makes sense, actually, so thank you! and to the PS: well, just pooh. I ordered those books without doing my homework. Oh well. So glad to read a rave review. It's going on my TBR list, although not sure how to obtain it. The reasons books aren't published in translated form are probably financial and reflect publishers' uncertainty as to which books will be popular and which won't. So they're floating the one they think is the best or most popular as it won an award. Then they'll see how it goes and determine which to translate and publish in English. It's a tough market these days. When I walk into my library now, I grit my teeth. 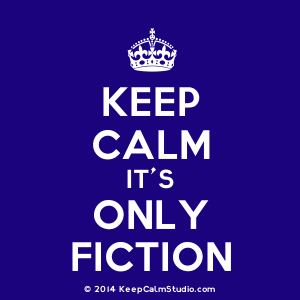 There is barely any fiction. Today I saw that the mysteries were incorporated in with all fiction, which is now quite sparse. Cost-cutting abounds. And publishers are wary about expensive projects if they're not sure what will sell. As far as libraries go, I hear you. I quit going to mine because I have more books than they do. In fact, I regularly donate books to the library to help build their collection. I haven't found The Missing Head of Damasceno Monteiro yet (the 1st copy), but you can definitely have it when I finish it. Here's something you may appreciate: not only did I lose my first copy of Missing Head of Damasceno Monteiro, but last night I really wanted to read my new copy of Bunny Lake is missing, only to discover that it had gone missing as well. I have to quit ordering books with the word "missing" in the title, I guess! And I've decided my house is a black hole when it comes to finding books sometimes. Just written my review about this book now and couldn't agree more about the translation order. Very annoying. Nice review, Sarah. Yes, it is annoying ... I mean, I would absolutely think that the publishers would test the market with the first in the series rather than start with #6! To me, that would just be good business sense.